It helps me set – and reach – realistic goals. Once I got into the habit of wearing/using my FitBit on a daily basis, I was able to set a realistic goal of 10,000 steps per day. Definitely a reach for me, especially some days (I work a mostly-desk job where I’m sitting for 8 hours per day), but it helped me set a goal that I aim to reach every day. It makes me accountable, if only to myself. 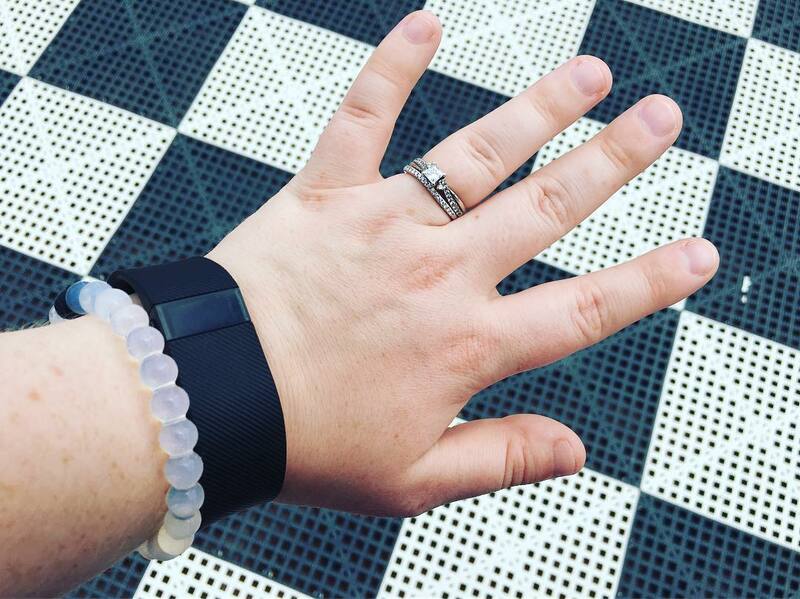 The fact is that with a FitBit, it’s super easy to set a goal and then really have to be accountable for that goal. I hate synching my tracker in my iPhone app, only to find that I’m nowhere near my daily goal! My FitBit helps me be accountable for my exercise regime and has helped push me to walk more – even if it’s just taking a five-minute break at work to walk around the office. You can also use the calories & water functions to keep yourself accountable for those factors of your life, too! In the end, it’s an investment in my health. And without my health, where am I? Buying a FitBit was a conscious decision to invest in my health and in my exercise regime (or sometimes, lack thereof). I love that it helps me be aware of what I’m doing with my body and allows me to push myself to new goals. Sure, there are days I don’t reach my goal. There are other days when it’s 10:35 p.m., I’m ready for bed and I still need *just* 100 more steps — so I pace around my apartment until I get there. There are days when I just plain FORGET to charge my FitBit (sad days!) and other days when I forget to sync it. And I don’t sleep with it on, because as a side-sleeper, I think it digs into my side and can be a little uncomfortable. But in the end, buying a FitBit was a great decision and I’m really happy with my purchase, and I definitely recommend it to anyone else who wants to be health-conscious and aware of their steps in their every day life! So go on, buy one today.